Folk Fusion songs folk-fusion music Indian fusion band Tetseo Sisters Assamese music Indian band band Advaita song ?Zariya? Do you like rock music more or classical? Or maybe you prefer listening to jazz? All of them? Glad to know you don’t limit yourself to a specific genre! Especially when we’ve got the most brilliant line-up of folk-fusion music for you! In our opinion, this Indian fusion band is an all-time favourite! We know we are being biased, but we are complete Swarathma fangirls! All you music lovers, this band is not to be missed! Avial, the band who calls itself an ‘alternative Malayali rock’ band, is known for its music all across the country. Chekela, one of our favourites by them, is a splendid combination of folk and rock with a special touch by Avial! 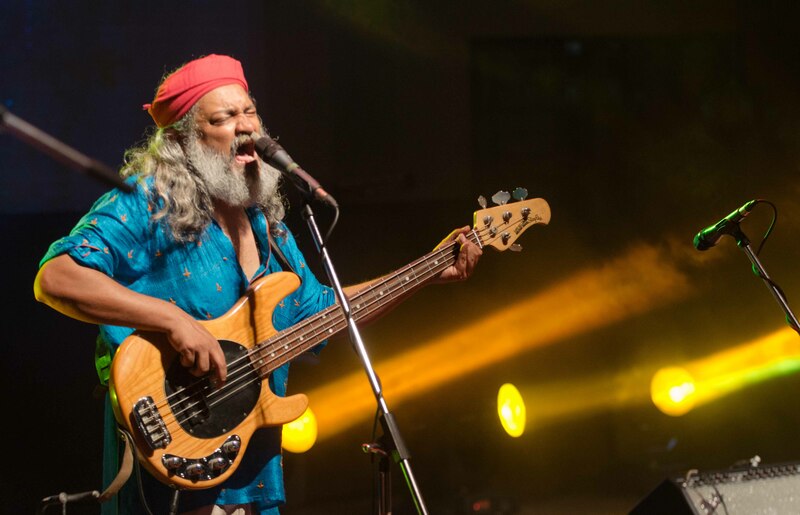 Do we need to introduce you to Raghu Dixit? No, we don’t! Not only is he a legendary singer, but also a great performer on stage, which is icing on the cake for his fans! This song, Hey Bhagwan, should definitely grace your playlist! The band includes four sisters hailing from the state of Nagaland and their songs keep the folk music tradition alive. Cepho Celho Lizo is a wonderful composition by Tetseo Sisters and you will often find yourself swaying to the tunes! Papon brings magic to any song he is singing, be it a Bollywood song like ‘Moh Moh Ke Dhaage’ or any folk song! Merging elements of Assamese music in their songs, this folk-fusion band is all levels of musical genius! If you haven’t heard about this Indian band or any of their songs, please do so now! ‘Ghir Ghir’ by the band Advaita is a track that will instantly mesmerize you! Don’t blame us if you keep playing it on loop! One word: brilliant! There, we have described Indian Ocean for you! This band includes the kind of musicians we idolize and we promise that their song ‘Bondhu’ will never be erased from our playlists! Nepalese folk singer Ani Choying, Jordanian virtuoso vocalist Farah Siraj, and Indian musical genius A.R. Rahman have collaborated to create the song ‘Zariya’. We don’t think you need more reasons to listen to this song! With Kailash Kher as the vocalist, this group combines sufi, western, classical Indian, and folk music together to create the most beautiful tracks. ‘Bam Lahiri’ is just one of their many songs we’ve never been able to get over! Love working out? Here are songs you should listen to while you are sweating it out! Feel free to share this article.